We are artists, thinkers, and creators of imagination. We are prepared with the will, courage, and gift of expression. We are the catalyst of thought and the intrigue of culture. We are the challenge of the sublime and the hope of inspiration. We are inspired by nature, elevated by humanity, and guided by the spirit of connection. We are the apex of intelligence and the foundation of thought. We are the excitement of an opening and the reason for an encore. We are the essence of the Creation. 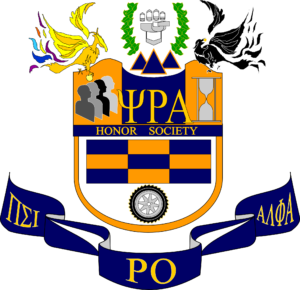 We are, Psi Rho Alpha.